We Grew-up with a Deep Passion for Making and Creating Cool Things. 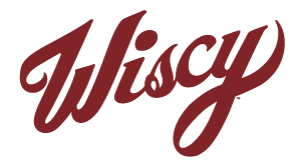 All Wiscy products feature original designs created and produced in the United States of America. We select fabrics and materials from WRAP certified (Worldwide Responsible Accredited Production) manufacturers. Although we're a business, we believe this doesn't mean we have to compromise our ethics or standards to be profitable or to make beautiful, high-quality things. This means what we make are the things we want to wear ourselves. Every one of our designs is created by the talented hands of our designers and then produced by-hand, in limited-edition runs. This means every item features the perfectly imperfect qualities that are inherently built into handcrafted goods—so no two items are exactly the same.